Save money and the environment with Perth’s best solar panel installation and repair. Get fast and reliable solar hot water systems in Perth, WA. We install and repair. Save on your household bills every month with a new solar hot water system or solar power system. We sell, install and repair solar power systems, parts and components for residential and commercial properties. Contact us today for a quote. We provide all aspects of solar repairs and installation to customers in Perth, Brisbane, and Melbourne. Hot water system not working? Need an urgent fix? Providing solar repairs, sales and installations to Western Australia since 1997. Provide all aspects of repairs to residential, commercial and industrial customers. The fastest-growing energy technology in the world, Solar Photovolatic (PV) Systems. Welcome to Solar Repairs. We are a fast and reliable installer of solar systems in Perth, WA, and we’re ready to help you take your home, office or place of business into a greener, more sustainable future. You can count on us to handle any of your solar-related needs in Western Australia. We have been providing solar sales and repairs for Western Australia since 1997, which means we were developing our expertise long before solar cells became popular in such a mainstream way. As such, we have had more time to develop and refine our skills on the job. You won’t find a better-qualified specialist for solar in Perth. In addition to solar system installation, we are also qualified to handle all manner of solar repair jobs for our residential, commercial and industrial customers, alike. Contact us today to learn more about how we can help you install or repair a solar system at your property. Few solar installers in Perth have as much experience as our team does. Not only have we been working on solar systems in WA since 1997, we are also a member of the Master Plumbers and Gasfitters Association. Furthermore, we go out of our way to ensure that our prices cannot be beaten. That’s why we allow our customers to purchase new and used hot water systems (along with panels, tanks and other spare parts) at industry prices. If your goal is to begin generating your own solar power without creating emissions and contributing to the global climate-change crisis, then we’re the team to help. We can also help you make the most of this transition to green energy by advising you on which rebates and tax incentives may be available to you. There really has never been a better time to switch to solar power in Western Australia! Water heating is one of the biggest energy costs for your home, but it doesn’t have to be! With abundant sunshine (and the most sunny days per year of any Australian capital city), Perth homes are perfectly positioned to take advantage of the sun’s energy in the form of solar power. Solar Repairs have extensive experience with the installation and repair of solar hot water systems in Perth, leading the solar revolution with the latest and greatest technology available. Solar power tech has come a long way in recent years, and modern solar hot water systems are capable of handling much more power-intensive tasks than in years gone by. We are also fully equipped to assist with solar hot water repairs as well. Whatever your needs, our team have the experience, credentials and expertise needed to finish the job quickly and correctly. Now You Can Enjoy Your Own Personal Power Station! Most solar hot water systems in Perth actually use the sun’s rays to directly heat the water that is used in your home. Given the amount of sunshine we receive in WA, that’s a relatively straightforward task to accomplish. But a solar photovoltaic (PV) system actually converts energy from the sun into electricity that can be used to power your house. Harvesting natural energy in such a way is going to continue becoming more common in the coming years, and WA is leading the way thanks to teams like ours. 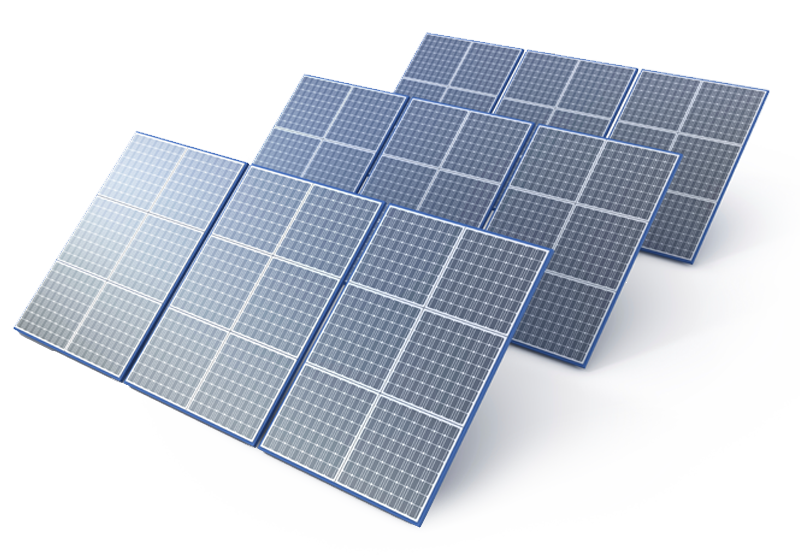 We can help to integrate solar modules into any building, allowing you to reduce your reliance on the electrical grid. By installing a PV system for your property, you’ll be joining the brigade of forward-thinking visionaries who have had enough with those who insist that we have to continue burning fossil fuels to power our homes and businesses. Need the best solar services in Perth? Look no further! Solar Repairs Perth have been providing repairs, sales and installations of all sorts of solar systems to Western Australia since 1997. Our friendly and professional staff are highly trained and hold appropriate licences and insurance for all work carried out. From Mandurah to Lancelin, Serpentine to Muchea, wherever in Perth you need your solar power services you can call on Solar Repairs. We are a quick and quality service provider on all hot water systems to major solar brands. We allow our customers to purchase new and used hot water systems, tanks, parts and panels at trade prices. If you want to generate your own power, we are ideally positioned to install solar power on your home or business premises. In fact, there has never been a better time to turn to solar! 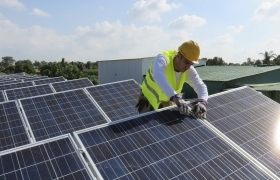 Rebates and tax incentives have made solar power systems more affordable than ever! Please contact us for your enquiries and we will be more than happy to assist your needs! A member of Master plumbers & gasfitters association, Solar Repairs has been providing solar repairs, sales and installations to Western Australia since 1997. 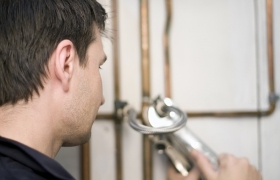 We also provide all aspects of repairs to residential, commercial and industrial customers. Contact Solar Repairs today to learn more about how you can help lead the way to a greener, more sustainable future for Australia or view our solar power FAQ for more info. For any further information contact our friendly staff today!